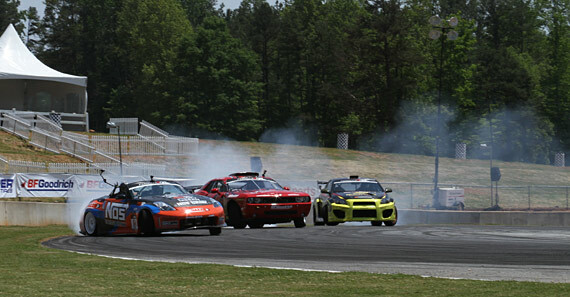 Fox 5 Atlanta came to Road Atlanta to check out some of the drifting action today. They wanted to gather a few of the champions together so Chris Forsberg, Tanner Foust, and Samuel Hubinette put on a show for the cameras. 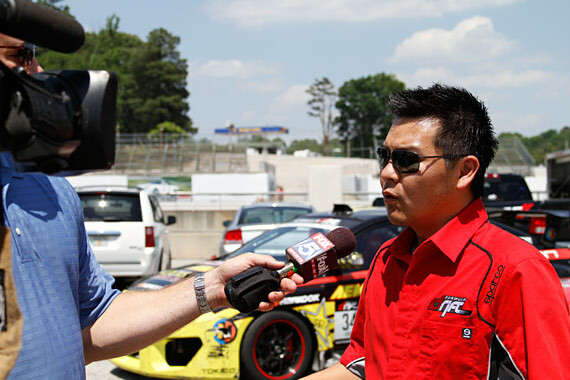 Co-Founder Jim Liaw was also interviewed to explain the history of the sport and what Formula DRIFT is all about. If you’re in the Atlanta area be sure to check out the footage during the news broadcast around 6:50 PM, 10:45 PM or 11:20 PM time frame. Don’t miss out on one of the most exciting events of the season tomorrow and Saturday.